Should I be concerned with indoor air quality? Now that winter is here, with more and more time spent indoors, indoor air quality becomes more of a concern. What many homeowners don’t realize is that indoor air quality is often the result of the type heater is used, and if it includes methods of balancing the air. Poor air quality also has to do with other factors, such as regular maintenance to the furnace, clean filters, indoor contaminants, and proper balance of air. If furnaces aren’t balancing the air, or need maintenance, excessive condensation may exist in homes, leading to moisture, spores, bacteria, and mold. Air containing too much moisture and humidity leads to allergies, and other respiratory related problems. Air quality becomes a problem when moisture in air begins settling in spaces of the home, or when air isn’t properly circulated throughout the home. This is common in areas such as in cabinets, underneath counters, around ceilings, windows, in crawl spaces of attics. A good indicator that condensation exists is checking for moisture and mold in these spaces. If green or black mold is present, this should be dealt with immediately. If you feel sick at home, but better elsewhere this may also indicate problems that need dealt with. Mold, cigarette smoking, and even heavy detergents and perfumes can result in contaminants that lead to poor air quality, and may lead to poor health. 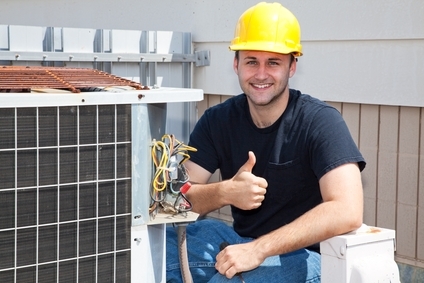 What does an air handler do for my system? In addition, an air exchange unit can solve contamination problems. Such a unit eliminates contamination in the home resulting from a variety of factors. This results in better overall air quality, and helps to prevent contaminants from lingering in homes. Air handlers within systems also allow cool or hot air to circulate throughout the home, which means condensation and contaminants are less of a problem. The first step in dealing with air problems in the home is to consult with a heating and air specialist who will visit the home, test and make an assessment of the air quality. They will also check the furnace, the filters, any crawl spaces, or air ducts in attics, and suggest any updates to equipment or maintenance that may need completed. Technicians will also check levels of home contaminants, and ability of existing equipment to properly filter the air. Heating and air technicians are the best option for testing and assessing factors related to poor air quality, and will indicate what steps need taken for improvement. Concerned about the air quality inside your Annapolis home? Take action and call Heidler, Inc. today at (410) 268-7191.